I started out writing about the stuff I have cooked, but I haven’t done much cooking since I been back in Nairobi. It has become this ugly cloud hanging over me, a cook that doesn’t cook? I’m certain my family is starting to doubt that I can actually cook! I’m struggling to deal with a lot of things and I’ve ended up taking it out on the kitchen and food! Since there has been no cooking and a whole lot of eating out, and boy has there been lots of eating out! I centre my days on eating out, however, someone pointed out that I don’t really do much eating! I may order half the menu, but only nibble a little of everything. Again, my relationship with food has changed; I love to look, smell, taste food but never really eat it! I fear my stomach has shrunk to the size of a pea because of this… but nevertheless, I have ventured into Nairobi in search of good food. Like most Nairobians, I tend to eat the same kinds of foods, in the same kind of places all the time! I hate this part about being in Nairobi, because we have some great restaurants in this city. As I was looking at all my pictures, I realised all my photos are from the same restaurants! So I’ve decided on one restaurant to write about, mostly because it was a special occasion! Lunch at Zen Garden: Bamboo Restaurant, Jade Coffee and Tea House. It was OUR three year anniversary! And by OUR; I mean my twin and her boyfriend’s anniversary, I would like to think I am a part of their relationship… they always let me third wheel their dates, and as you will know always eat anything I cook! So it was only right that I should celebrate with them, and that I should bring Miss Y-vo along as my date. We have been part of their relationship as much as they have. Sun was shining, I was looking especially good (if I do say so myself) and I was with the people who have been my backbone over the past couple of months. The food; as always we ordered prawns to start with! 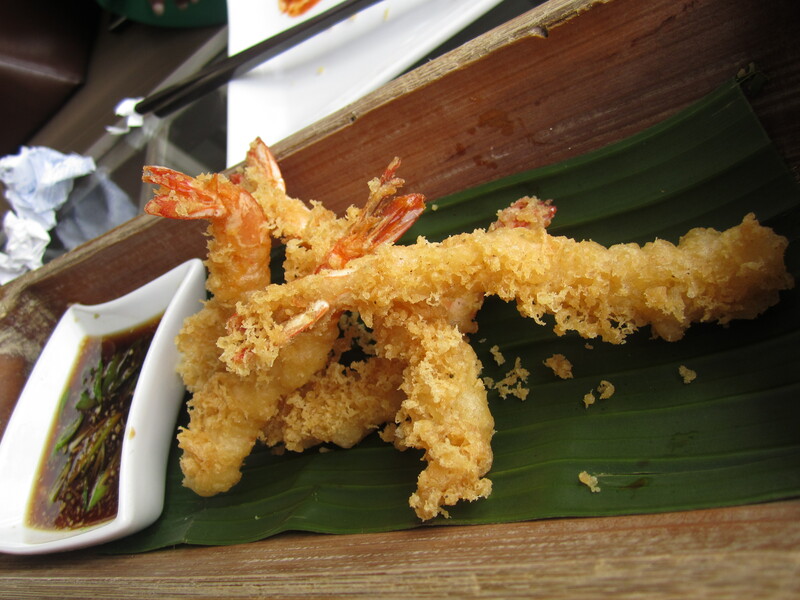 We order prawns almost everywhere we go, and these have to be in my top 3! Nice and crispy. 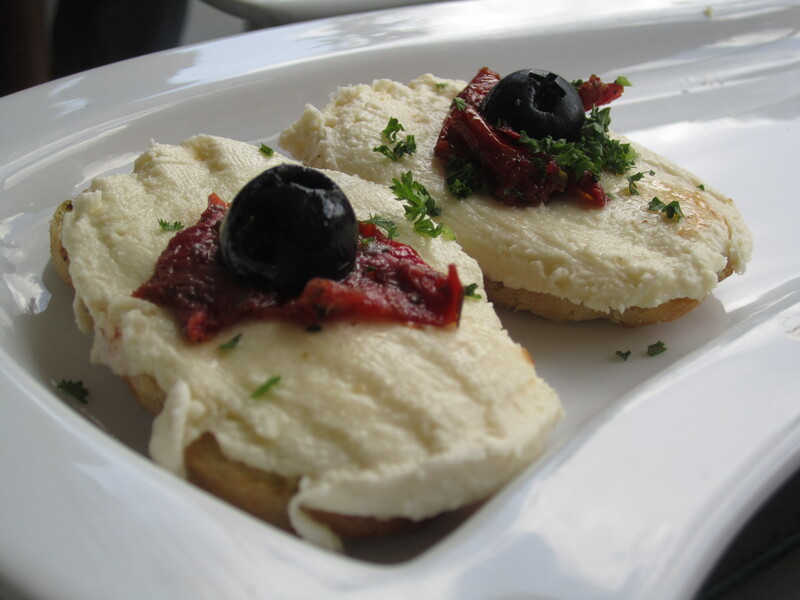 Next was sliced buffalo mozzarella with sundried tomato & basil pesto on toasted ciabatta. If you know me, you will know I am obsessed with buffalo mozzarella! I have searched high and low for it in supermarkets but never find it. So you can imagine my excitement when I saw it on the menu! It looked absolutely stunning on the plate; however, in the mouth it was rather like paper. This was unfortunate because it made for a great photo. Next we had dim sum, it is rare to find dim sum on a menu in Nairobi, and for it to be good. 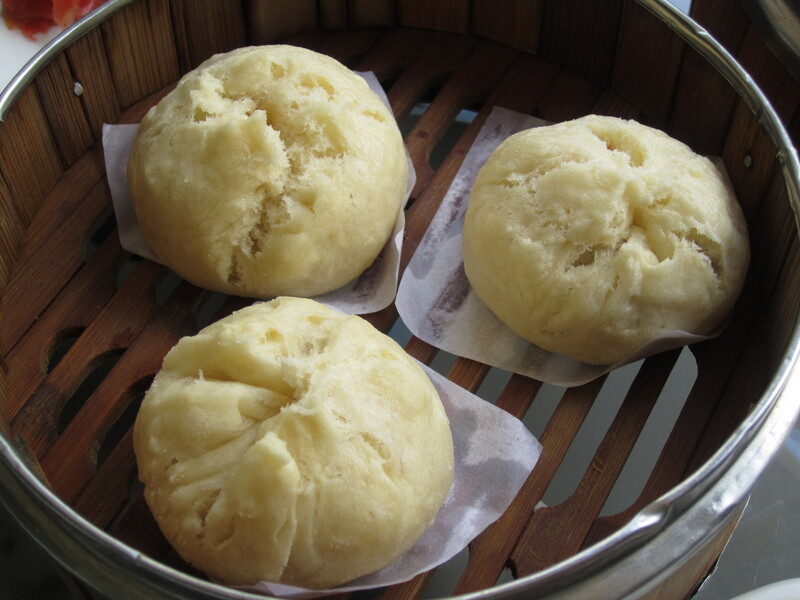 But the Bamboo restaurant has delicious dim sum. We had the Char Sui bun (honey barbaque pork in a fluffy white bun) and Chinese chive (king prawns & Chinese chive in a translucent white pastry. I’m a sucker for buns, pork buns that is and these were good, but nothing too special. 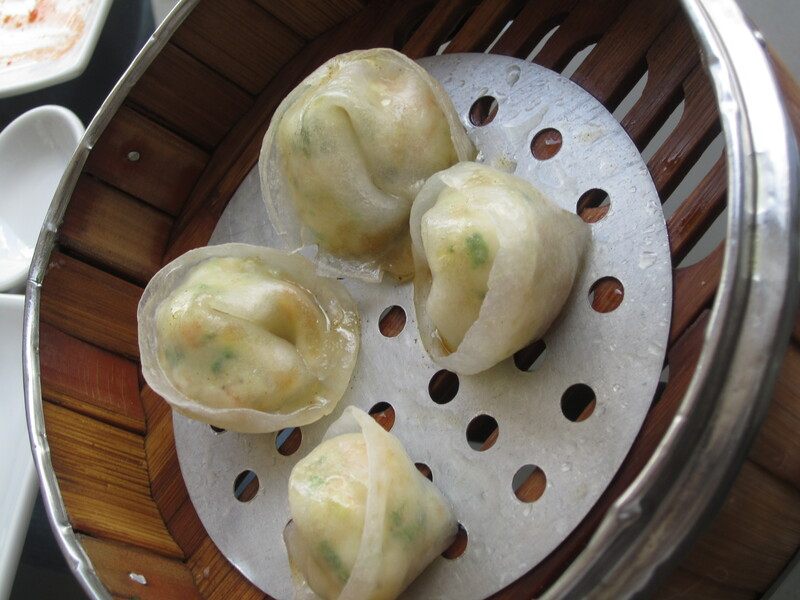 The prawn and chive dumplings were good too, the pastry was a little thick and chewy but the filling was excellent. 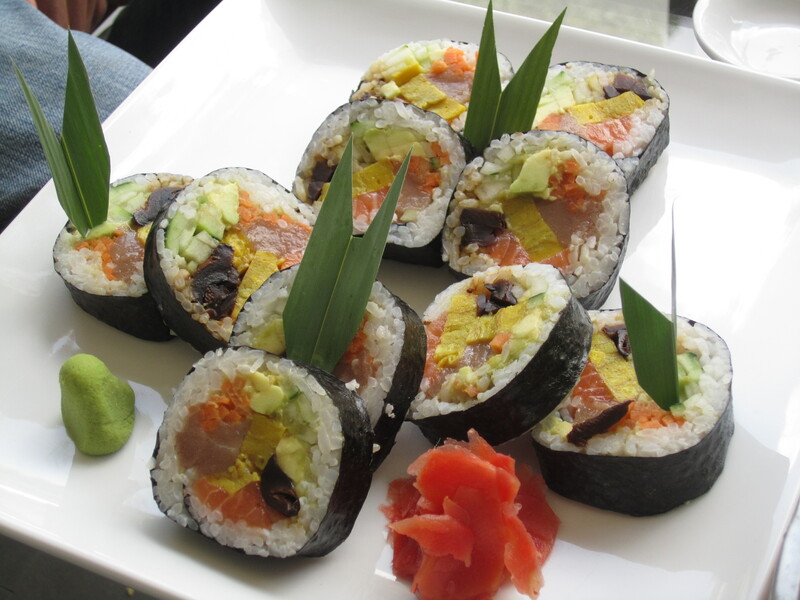 Of course Miss Y-vo, our resident vegetarian had sushi… I think she had futomaki (salmon, tuna, avocado & cucumber) rolls or something like that. Whatever it was, presentation was wonderful and tasted just as good! I got a bit confused by all the dim sum, sushi and love in the air, and forgot to take pictures of the rest of the food… which was if I recall a Thai green curry and eh…. that’s all I remember… that’s how much love there was! Zen is the perfect place to hang out on a sunny afternoon, the atmosphere is great and it’s family friendly too. Spotted a trampolin in the garden, which I was tempted to jump on. If you haven’t been, I suggest you grab someone special and take them there. the drive will so be worth it! Kidum, kumbe ur gethogo is of nice like this! !